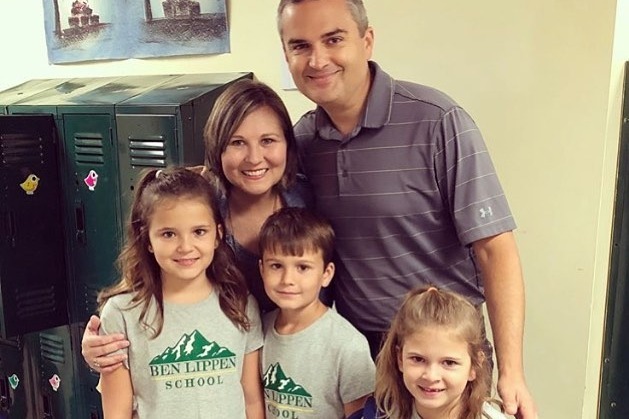 On Saturday, August 25 our beloved friend, Brooke Turner, lost her dear husband Justin, leaving behind their 3 children, Sam, Selah and Hannah. The pain and shock is devastating and no one can really wrap their minds around how this could be. We all want to hold her up in these days and the days ahead. As many of you know and have followed Brooke's journey over the last few years in her battle with Stage Four Cancer she has been one of the very bravest , most reliant people on Jesus, and now more than ever we need to surround her in any way we can. Everything from the funeral costs happening right now to the best ways to help take care of the kids now and for their future we can tangibly meet those needs for her. I continue to be so overwhelmed and humbled by the generosity that so many have extended to our family these past two weeks. The kindness of God has been demonstrated time and time again through your tangible acts of service, generous financial gifts, cards in the mail, text messages, emails, gift cards, and most importantly prayers. Specifically, this GoFundMe account has been one of the most incredible acts of collective generosity that I've witnessed. We are walking through difficult days, as I am working hard to provide a loving, stable, consistent environment for my children all while getting treated for Stage IV breast cancer. Although each day holds its own set of challenges, the Lord provides just what we need for that day. These funds will help greatly as we move ahead in this new season of our family. Words are inadequate to express my gratitude to each person who has contributed to this GoFundMe account. In the midst of deepest sorrow, these generous acts of love have reminded me that I don’t walk alone. Every penny of these funds will be spent in ways that would honor Justin’s wishes- loving on our children, providing stability for them in the months ahead, and expenses related to my breast cancer treatments and travel to MD Anderson. We are experiencing the unimaginable right now, and your support means more than I can express.